Make a fashion statement with the Chase Extra Tall Bar Height Stool by American Heritage. 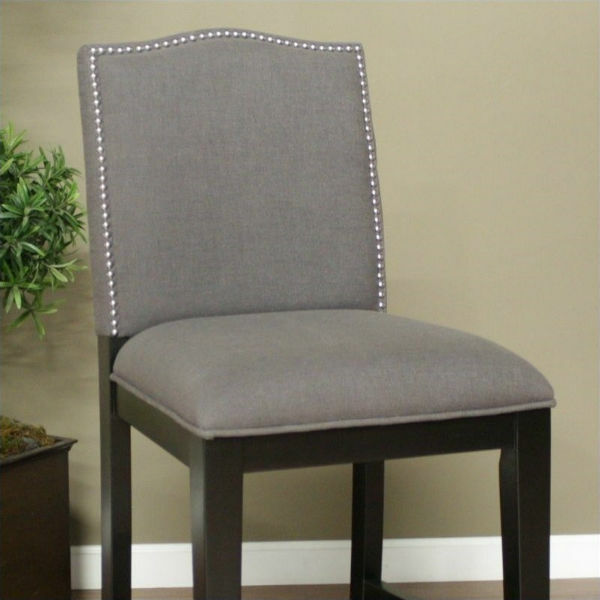 Simple yet chic, the Chase Extra Tall Bar Height Stool features a handsome camelback shape with nail head trim. This all wood stool has a trendy black finish and is upholstered in soft smoke Belgian linen. Sturdy mortise and tenon construction and a metal foot plate ensure this stool will wear well. 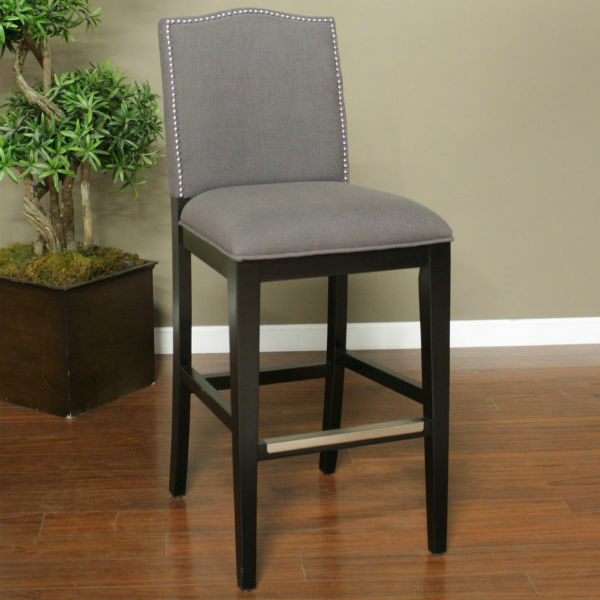 The Chase Extra Tall Bar Height Stool is comfy too, with a 3” thick cushion and webbed seating.